MW: When you got to New York and got off the plane what were you thinking? TG: I was so looking forward to the competition that excitement gathered such an eagerness in me I couldn’t wait to encounter the other contestants and Mr. Trump. This stirred an innermost ambition that ignited my passion for winning, (the Charlie Sheen way). MW: How was it the first time you met Donald Trump? TG: Meeting Mr. Trump for the first time can only be described as “Too Cool”. My anticipation was filled with poised confidence knowing instantly that we were built from the same mold. I had a thrilled cool in the back of my mind wanting to impress him and I thought I could do this by volunteering to be the first project manager. MW: What was your favorite project to do? TG: Selfishly I would say all of the tasks where I won, but to be more specific, the Domino’s task. I was involved in every aspect of the project including sales, which is my forte plus I derived the name of the pizza from my Italian heritage. In winning, I received a great surprise when I came to to the victors breakfast where Donald had me seated right next to him. Yay me! MW: Tell me about being Project Manager and winning week 5 and 11? TG: This was no easy feat. There are always difficulties in managing people yet the rewards for achieving with excellence as a boss was awesome! Specifically the chance to share the amazing shopping spree’s with my team. Foremost at Mikimoto’s, where I teared up when I thought about the man I love, who sacrificed so I could be there in the first place. That’s when I decided to use my gift certificate on men’s cuff links and subsequently wait 6 months to present them to him as the show aired. Talk about keeping a secret. MW: Who was your favorite contestant to hang with? TG: Craig my roommate of course. We are still close friends to this day. MW: Who was your least favorite to hang with? TG: I am not going to name names, but the I am not attracted to people with ulterior motives, therefore a few of the contestants and I didn’t relate. MW: You got known as being the BeDazzler women. How did you go on to be a spokesperson for them? TG: When I returned home from New York there were 77 job opportunities waiting for me as voice mails on my phone. The very first call was the President of the company that owned the BeDazzler. He asked me to shoot an infomercial and wanted me to be the international spokesperson for their company. This all happened on the show during the Hanes task where I showed passion for the product, and as I always say, “Passion is priceless”. MW: You got to the final show of The Apprentice and lost. What were you thinking then? TG: That a terrible injustice had been done when I wasn’t hired. Somewhat shocked yet mad at myself for my naivety to believe that someone (like me) without a college education would actually win this show. In retrospect I realized I did win that night stemming from all the opportunities and blessings I continue to receive from being on the TV show. MW: Would you do Apprentice again? TG: Absolutely. 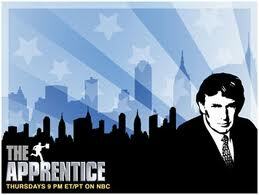 There is such an adrenaline rush from this kind of competition that I am looking forward to a non celebrity, All-Star Apprentice. MW: You also were on a episode of Fear Factor. Tell me about that. TG: This was a three part series called Reality Stars Fear Factor where the producers asked Donald Trump who would be a great representative for their show and he named me. It was certainly a challenging experience that tested the levels of my comfort zone. MW: Was it fun doing the stunts? TG: The stunts were crazy and demanding, pushing me to my limits but I had my sights set on winning that prize money of 150K so I challenged myself for each new stunt. MW: What is in the future for Tana? TG: I like to stay in the present moment, but when looking down the road of life I would love to continue encouraging and inspiring others through my motivational speaking career and self-esteem classes for kids. I can only hope to attract and represent more like minded clients. MW: What reality conventions will you be at? TG: My work schedule and being the mother of two teenagers rarely allows for much free time. If I were to have a weekend that isn’t spoken for I would attend a reality convention that focuses on a charity rather than an event that focuses on drinking, or being a reality star. The only event I took place in last year was Reality Rally in Temecula Ca. and I had a great time giving back to the fans. TG: Being on Television show like The Apprentice was a great platform for me to become known and credible, an opportunity that I am grateful to Donald Trump and Mark Burnett for. I believe in life, if you use the gifts you’ve been given in the right way and for the right reasons the sky is the limit for true potential. Stay Fired Up for life.